Does anyone have access to, or know of a good resource for pictures, drawings or diagrams of the 120 HP Beardmore? I'm working on the WnW Fee, and am doing one with the 120. 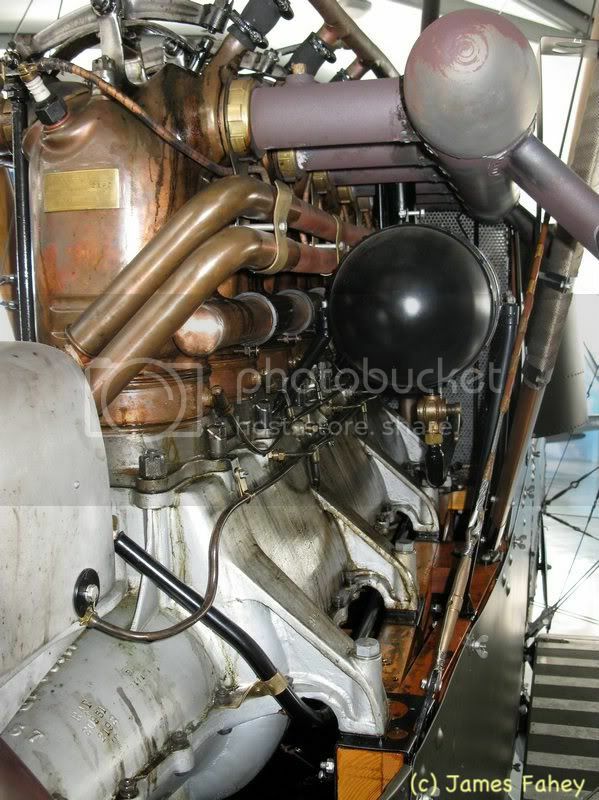 I've downloaded all of the pictures James Fahey has posted of the 160 HP Beardmore in the Vintage Aviator's Fee, but there is some piping and wiring that I can't quite make out. I've already fabricated the plug wire chases from brass tube and sheet and have the plug wires sorted out, but I'm struggling with the oil lines and a lot of what's going on on the opposite side of the engine. I just love building models! Has good details of the different carbs and oil leads on the port side. Ah...many thanks James! I haven't seen any of your more recent photo's so I'll check them out right away. I kind of figured that the 120 and 160 were more alike than different, which is the main reason, apart from your pictures being the best out there of either, that I've been relying on your pictures to keep me going in the right direction. And fantastic pictures of your work on your engine! Didn't think of that, but it does make sense. 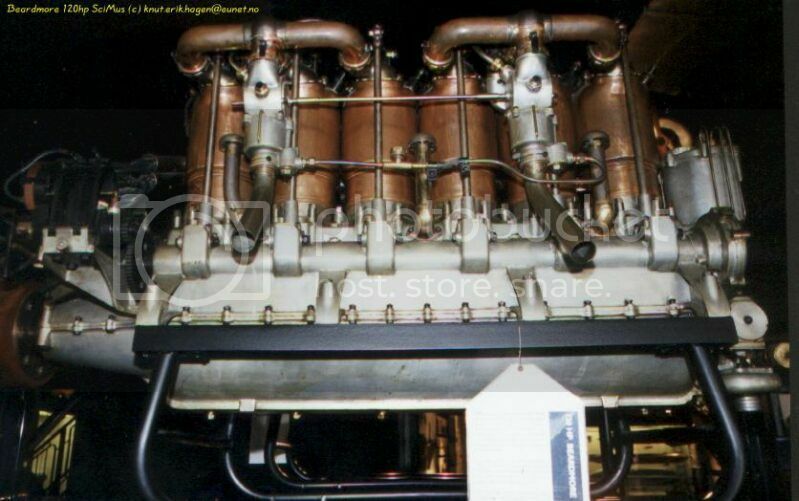 Lovely engine Jamo, how'd you get the copper to look like that?? I started out with Mr Metal Color copper which looked far to pinkish, and after a suggestion from another modeller, added some dark earth (xtracolour RAF gloss enamel in my case), nearly 50/50. Brush painted. Added oil leaks with a very dark green (a 30+ year old tin of Humbrol British Bronze Green, an afv colour). I like the Mr Metal colour range as the pigments are very fine but you have to brush really fast because the lacquer carrier evaporates extremely quickly. Their brass colour is great. Thanks James for posting your copper painting technique, it turned out beautiful and is the closest I have seen to real copper, and by the way, your engine is spectacular.